Owensboro, KY (June 29, 2017) Kentucky Legend® will hold a ribbon cutting for the unveiling of the new Kentucky Legend Pier on Thursday, July 6, 2017. The ceremony will commence at Noon CST on the Pier, which is located behind the Owensboro Convention Center. Representatives from Kentucky Legend, a division of Specialty Foods Group, LLC will host the event to local city and government officials. The Greater Owensboro Chamber of Commerce will be on hand to celebrate this event and cut the ribbon. At nearly 8,900 sq. ft, the Pier sets over the beautiful Ohio River and is the main location for various events throughout the year; i.e. Friday After 5, endless amounts of performances, etc. Kentucky Legend® has its roots firmly planted in Owensboro, Kentucky and continues to strive on the community values set forth by founder Charles Eldred Field. With over 100 years in the meat manufacturing business, Kentucky Legend knows a thing or two about bringing inevitable flavors and families to the dinner table. “In the midst of all the new and exciting things happening in Owensboro, we are excited to be part of it all. As the city continues to grow, we strive to ensure Kentucky Legend’s presence is known. Expect to see more of us as the year continues.” said Brooklyn Maple, Brand Manager for Kentucky Legend®. If interested in reserving the Kentucky Legend Pier for upcoming meetings or events, please contact the Owensboro Convention Center Sales Team at (270) 687-8800. Owensboro, KY (April 14, 2017) – More than 20 local Spectra by Comcast Spectacor employees from the Owensboro Convention Center and Owensboro Sportscenter and their families, friends and community partners will “make change happen” as they volunteer to improve the Western Kentucky Botanical Garden in Owensboro, KY on Monday, April 17 and Tuesday, April 18 as part of the 16th annual Comcast Cares Day. Spectra, part of Comcast, provides Venue Management and Ticketing and Fan Engagement to the Owensboro Convention Center and the Owensboro Sportscenter. Comcast Cares Day is more than just a day – it’s the culmination of Comcast NBCUniversal’s commitment to volunteerism that began when the company was founded more than 50 years ago. From using technology to create positive change, such as wiring community centers and libraries and teaching digital literacy skills, to mentoring youth, to beautifying parks, Comcast NBCUniversal employees volunteer on this day, and throughout the year, to make a lasting impact. This year, the vast majority of projects will take place on Saturday, April 22nd and the Company expects more than 100,000 volunteers to participate in approximately 900 projects across the country and around the world. To date, volunteers have contributed nearly 5 million volunteer hours at 7,700 projects since Comcast Cares Day began in 2001. With several established gardens – Butterfly, Rose, Daylily, Iris, Herb, Fruit & Berry, and the Takahashi Japanese Memorial Garden – the Western Kentucky Botanical Garden is becoming a center for the growth and display of hundreds of outstanding plant selections as well as a beautiful location for social gatherings. Spectra’s team at the Owensboro Convention Center and Owensboro Sportscenter has committed to the beautification and clean-up of the Garden. The Comcast Foundation will also provide grants to local community partner organizations across the country on behalf of everyone who volunteers on Comcast Cares Day. The grants will help Comcast’s community partners continue their mission of serving the community throughout the year. To date, the Comcast Foundation has awarded more than $20 million in grants to local non-profit organizations who have served as partners on Comcast Cares Day. For more information on Comcast NBCUniversal volunteer and community investment initiatives, visit www.comcast.com/community. If you are interested in becoming a part of Comcast Cares Day as a volunteer, you may sign-up online at the volunteer portal at www.comcastinthecommunity.com. Owensboro, KY (February 10, 2017) The City of Owensboro and Spectra by Comcast Spectacor, the providers of Venue Management, Food Services & Hospitality and Ticketing and Fan Engagement to the Owensboro Convention Center and Owensboro Sportscenter, today named Blake Henry, a 20-year industry veteran, as General Manager of both the Owensboro Convention Center and Owensboro Sportscenter in Owensboro, KY.
Blake joins Spectra from SMG where he most recently served as Director of Operations at the Baton Rouge Convention Center. During his career, he assisted in project development stages from conception to day-to-day operational aspects of three AEG ground-up public facilities projects, including the STAPLES Center arena in Los Angeles, CA. 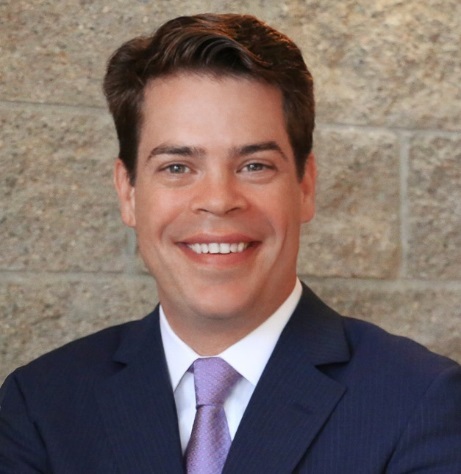 He has served as an Executive Director for the YC Performing Arts Center in Prescott, Arizona; General Manager of the Nokia Theatre and the Best Buy Theater, both in Times Square in New York City. He has successfully managed entertainment businesses with annual revenues of more than $15 million. Blake’s first day with Spectra will be Thursday, February 23. Owensboro Convention Center Announces Promotions and New Hires! Owensboro, KY (December 22, 2016) – The Owensboro Convention Center, proudly managed by Spectra Venue Management is excited to announce the promotion of some current staff and welcome some new members to their Owensboro team. Jim Riggs is now the Director of the Owensboro Sportscenter. He’s a native of Pittsburgh, Pennsylvania and a graduate of Carnegie-Mellon University. Jim has managed a number of professional sports teams in the East Coast Hockey League, Central Hockey League, American Hockey League, and Arena Football 2 before coming to Owensboro. He has also served as a sales and marketing consultant for a number of teams in both the United States and Canada. “I’m excited about the opportunity to help grow the Sportscenter and bring a number of new events to the facility,” Jim stated. Cody Thomas is a new Event Supervisor. Cody has a Bachelor’s degree in Accounting and Business Management from the University of Kentucky and a Bachelor’s degree in Organizational Leadership from Western Kentucky University. Previous experiences included being President of Kappa Alpha Order Fraternity, Event Coordinator with Owensboro’s Chapter of U.S. Bank Development Network, and Interning with Kentucky Mavericks. Cody is very excited to start his career in Event Management with the Owensboro Convention Center. Caleb Farkas joins the Owensboro Convention Center staff as the new Ticketing Manager and will oversee all ticketed events on OwensboroTickets.com. Caleb is originally from Muskegon, Michigan and graduated from Central Michigan University with his Bachelor of Applied Arts in Sport Studies. He has worked in ticketing for the sports and live entertainment industries for the past seven years including working in collegiate athletics, professional sports, and live events and shows. Most recently he worked for IMG in Coral Gables, Florida as a Box Office Manger overseeing the ticketing for a variety of events; including PGA and LPGA golf events. For more information about the Owensboro Convention Center, visit OwensboroCenter.com or call 270-687-8800. Owensboro, KY (November 30, 2016) – Spectra by Comcast Spectacor, the providers of Venue Management, Food Services & Hospitality and Ticketing and Fan Engagement to the Owensboro Convention Center and Owensboro Sportscenter has tapped General Manager, Dean Dennis to lead the company’s efforts at the Atlantic City Convention Center in Atlantic City, New Jersey. A 20-year industry veteran, Dennis’ background and proven success were key factors in his relocation to one of the East Coast’s largest convention centers. Dennis moved to Owensboro on behalf of Spectra in 2012 to open the new Convention Center and has been its only manager. Under Dennis’ leadership, the Center recruited over $800,000 in corporate sponsorships and sub-naming rights for the facility and has aggressively booked more than 675 events. Dennis and the Owensboro team have doubled the projected number of conventions, and have produced and promoted nearly 30 public events generating $455,000 in additional gross revenue attracting over 40,000 attendees. Furthermore, Dennis recognized the need for a regional ticketing system and thus partnered with Spectra Ticketing and Fan Engagement to create OwensborotTickets.com, a convenient and affordable ticketing service for the region’s events. Most recently, Dennis and Spectra have expanded their scope of work to include management of the City owned 5,000-seat Sportscenter where Kentucky Wesleyan College, Owensboro Catholic High School and Kentucky Mavericks are main tenants for basketball. 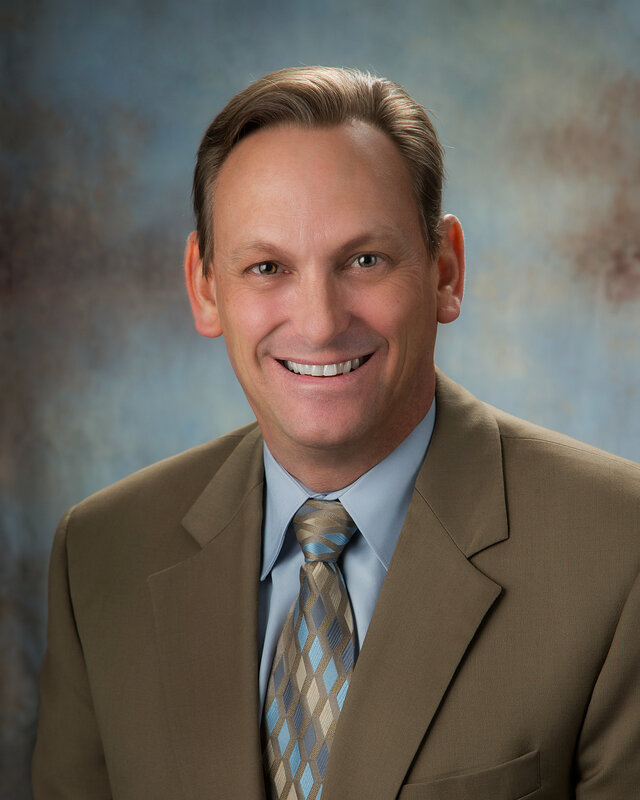 “Dean has done a tremendous job in returning Owensboro to the Convention and meeting business. Because of Dean’s efforts, outside dollars are once again flowing into our local economy because of conventions and events that had left Owensboro after the closure of the Executive Inn. While we will miss Dean and his efforts, it does speak highly of the transition we have made with the Owensboro Convention Center in that a much larger market wants to tap into Dean’s successful reputation in the western Kentucky region, said Owensboro City Manager, Bill Parrish. In conjunction with the City of Owensboro, Spectra will immediately begin the search for Dennis’ replacement and expects a smooth transition. Potential candidates will be presented to the City for its final approval. Owensboro, KY (October 1, 2016) – The City of Owensboro will be moving forward with their plan to have Spectra by Comcast Spectacor to manage the Owensboro Sportscenter, a multi-purpose 5,000 seat arena and one of Owensboro’s classic, most historic buildings. Spectra currently provides both Venue Management and Ticketing & Fan Engagement to the Owensboro Convention Center and those same services will now be provided to the Sportscenter, effective on October 1. Spectra will oversee the tenants at the Sportscenter, including Owensboro Catholic High School basketball, Kentucky Wesleyan College NCAA Division II basketball, and the Premier Basketball League team, The Kentucky Mavericks. Mayor Ron Payne made the announcement Friday saying, “Dennis and the Spectra staff have contacts and promotion and marketing abilities the city cannot match. I think we will see utilization of the Sportscenter like we haven’t seen in years,” Payne said. The timing of the announcement comes about a month after Spectra shared their successful annual financial report to the City Commissioners which included $1 million in business already being on the books going into fiscal year 2016-17 and over $1.3 million in system ticket sales from 45 states and Canada on OwensboroTickets.com, the online regional ticketing provider powered by Spectra Ticketing & Fan Engagement and launched in August of last year. As part of the engagement of Spectra, plans are being made to update the concession area, staging, locker rooms, and scoreboards inside the Sportscenter. The City of Owensboro has agreed to use $120,000 from the Economic Development Fund along with $40,000 from Spectra. 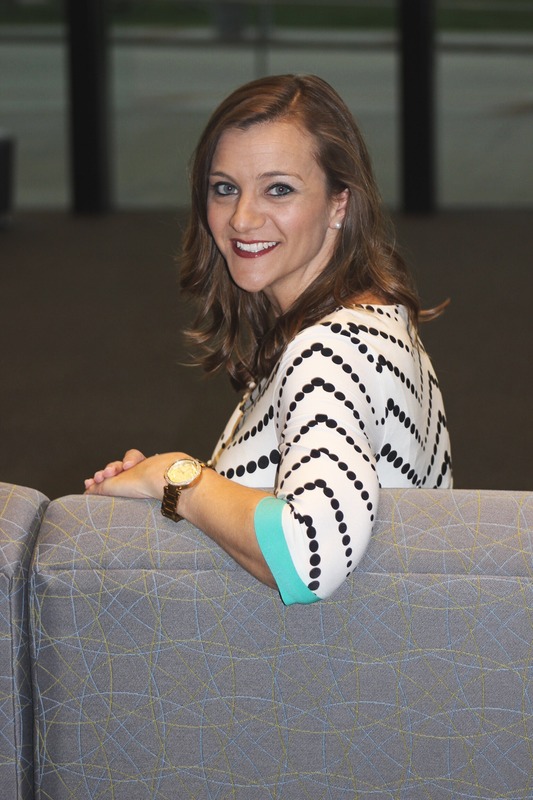 Owensboro, KY (September 16, 2016) – Laura Alexander, Spectra’s Director of Sales and Marketing for the Owensboro Convention Center was named a 2016 Generation Next winner by Venues Today (magazine), a premiere publication focusing on the live event industry. The Generation Next Award winners are young professionals who have made a difference in sports, music, conventions, family shows and festivals. Alexander is responsible for securing conventions, meetings and events for the Owensboro Convention Center and was tasked with placing Owensboro back in the rotation for much of the state’s association business. The city’s destination marketing organization does not have a convention sales team, therefore Laura is the lead person for promoting, selling, and booking Owensboro’s convention business. Tim Ross, City of Owensboro’s Public Events Director noted, “The City of Owensboro is thrilled for Laura and proud to have her as part of the Spectra management team. This recognition confirms our confidence in her leading the sales team for us and getting Owensboro back on the map as a convention and meeting destination. Coupled with Spectra’s resources and “Bring Your Meeting Home” campaign, she booked more than 67 regional and statewide conventions, with 48 of those occurring in the first two years of operation, more than double the projected number. She also leads the local sales team for all other events, exceeding expectations since opening in 2014. Alexander has led the sales team into a strong start for the 2016-2017 fiscal year with $1 million in confirmed business for the Owensboro Convention Center. Laura joins another Spectra employee who received the award, Trent Merritt, Regional VP, Spectra Venue Management and Food Services & Hospitality and General Manager, USF Sun Dome in Tampa, Florida. The Owensboro Convention Center, proudly managed by Spectra, is pleased to announce the grand opening of the newly remodeled Artisan Café by SFG on Wednesday, November 11. A brief media conference will be held at noon followed by the opportunity to enjoy free samples of the new menu until 2:00 pm and then again from 4:00 pm until 6:00 pm. 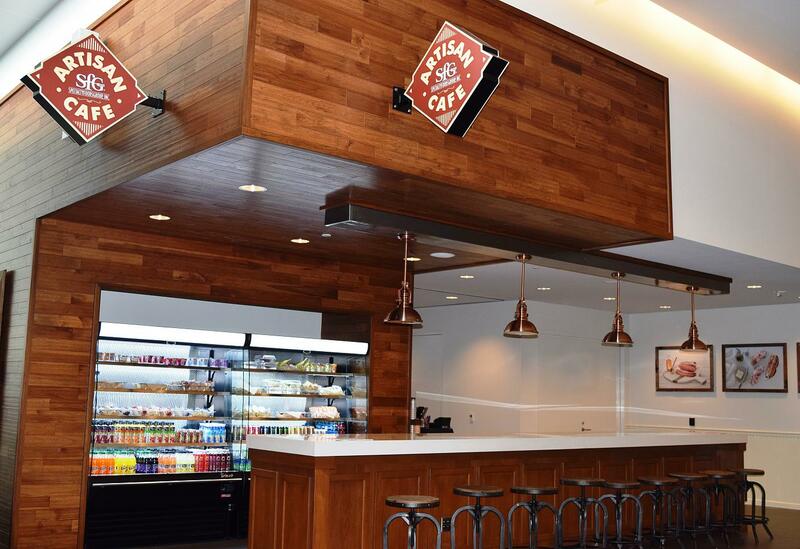 “The community is invited to stop by during their lunch break or after work to experience the new Café’” said Dean Dennis, General Manager of Spectra. In conjunction with the grand opening of the Artisan Café, the Owensboro Convention Center and Specialty Foods Group are offering a unique fundraising opportunity to local non-profit organizations entitled “Make it Count Mondays”. Each Monday, a local organization will be randomly chosen and featured on the Owensboro Convention Center’s Facebook page. Additionally, 10% of the Café’s sales on that day will directly benefit the selected organization. “SFG is proud to partner with the Owensboro Convention Center on this exciting venture. The new Café will not only allow us to showcase our large variety of delicious locally made products but, more importantly, it provides a wonderful opportunity to support our community and those in need”, said Ric Herrera, SFG Vice President. “We are thrilled with the Artisan concept and encourage everyone to come experience this new downtown eatery”. 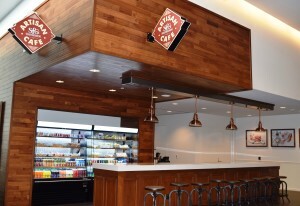 The new Artisan Café by SFG is dedicated to providing fresh food using quality ingredients including SFG’s Kentucky Legend Ham, Kentuckian Gold Turkey and Field Bacon among others. The Café is open Monday through Friday from 10:00 am to 3:00 pm and during special events at the Convention Center. In addition to daily lunch specials, the menu features delicious sandwiches, garden fresh salad bar and wraps as well as an array of house baked pastries, specialty coffee drinks and more. 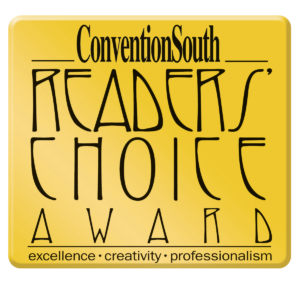 The Owensboro Convention Center, proudly managed by Spectra Venue Management, received the 2015 Readers’ Choice Award from ConventionSouth, the national multi-media resource for planning events in the South. In 2014, the Owensboro Convention Center was awarded for being a Top New and Renovated Facilities from ConventionSouth. Owensboro Convention Center Poised to Make a Great Start to the New Fiscal Year! Owensboro, KY – Spectra Venue Management (formally Global Spectrum) is poised to make a great start to the new fiscal year at the Owensboro Convention Center with over 20 conventions already scheduled. In its second full year in operation, the Owensboro Convention Center has doubled the number of conventions booked over the original feasibility projections. Five are returning conventions and over 15 new ones have been scheduled so far. For a complete list of the 2015-2016 conventions, please click here. From July 1, 2015 – June 30, 2016, these conventions are forecasted to generate over 6,700 hotel room nights and more than *$4.3 million in economic impact for the City of Owensboro. “Our goal is to promote the Convention Center as the ideal destination for our region,” stated Laura Alexander, Director of Sales & Marketing. “Many associations have a heavy membership in the western part of the state, and Owensboro is very centrally located for their members,” she added. Many of the conventions currently scheduled were brought to Owensboro with the help of the local community. The Owensboro Convention Center encourages assistance for scheduling conventions and other events through the Bring Your Meeting Home program. Individuals can help positively impact the local economy through recommendations. Once the event is booked, the referring individual will be designated as an Owensboro Convention Center Ambassador and will be rewarded with a Visa gift card for up to $200 per lead. To date, the Bring Your Meeting Home campaign has generated over 5,300 hotel rooms and has paid out over $1,200 in gift cards. Lean more about Bring Your Meeting Home and booking an event at the Owensboro Convention Center at www.OwensboroCenter.com or at 270.687.8800.